In 2017, Ghosn's deferred-income IOUs were piling up. PARIS/TOKYO -- Renault-Nissan executives including the French carmaker's general secretary Mouna Sepehri worked on an abortive 2010 plan to pay out Chairman Carlos Ghosn's deferred Nissan compensation through the companies' shared Dutch holding, according to documents seen by Reuters. Ghosn's deferred Nissan income is at the center of allegations by Tokyo prosecutors against the alliance's boss, who has been charged in Japan with failing to declare $43 million in compensation for the years 2010-15 that he had arranged to be paid later. Renault declined to make Sepehri available for comment on the proposed scheme. Ghosn and Greg Kelly, his fellow Nissan director and alleged accomplice, are still in custody and have had little opportunity to defend themselves in public. Ghosn, who remains Renault's chairman and CEO, denies that the pay deals broke any laws, his Japanese lawyer has told other media. In a written response to Reuters, Renault said Kelly had "consulted several people at Renault and Nissan to establish whether it was legally possible that part of the CEO's compensation be paid by RNBV to reflect the time he spent working on alliance synergies." In 2017, as Ghosn's deferred-income IOUs were piling up, Sepehri and Renault-Nissan bankers drew up plans to channel millions of euros in additional, undisclosed bonuses to Ghosn and other alliance managers via a Dutch service company. Among executives included in emails and meetings on the bonus plan were Renault deputy CEO Thierry Bollore and Sepehri, as well as Hiroto Saikawa, now Nissan's CEO, according to documents seen by Reuters. Renault confirmed that financial adviser Ardea Partners, who worked on the project, held "exchanges with some Renault and Nissan executives, including Mr Saikawa, Mr Bollore and Ms Sepehri." The companies declined to make any of the executives available for comment. Nissan, which is pressing Renault for a joint investigation of alliance finances, also wants to re-examine a recent decision to create a new alliance foundation in Switzerland. In a Sept. 26 resolution, the Renault-Nissan board signed off on a 30 million-euro ($34 million) transfer to the organization, documents show. 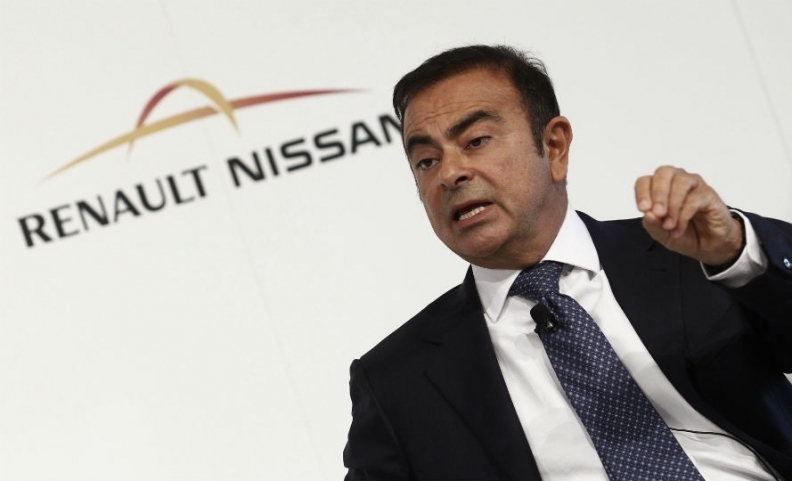 But the transfer was cancelled after Ghosn's Nov. 19 arrest in Japan, two sources said.